The Panama Papers strikes at the heart of the biggest themes of our times; income inequality, whistleblowers and corrupt power-brokers manipulating world governments and big business. I had the chance to speak exclusively with director Alex Winter about why he wanted to make the film, why it plays like a thriller and how these tax evasions impact all citizens directly. 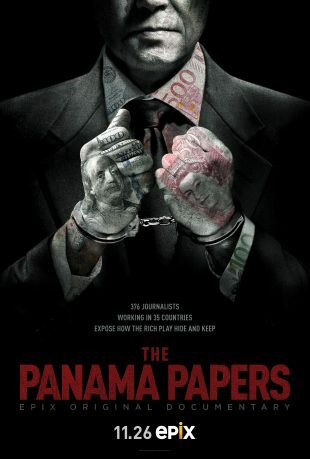 TV GOODNESS: I remember hearing about the Panama Papers when this story first broke, but I felt like I learned so much from this documentary. What made you want to make this film? Alex Winter: “I think you just said it. A lot of people knew the term ‘Panama Papers.’ I think they had a vague idea, speaking for the general public, of what it uncovered. Some people got a very thorough idea, because the journalism and the reporting was exceptional. I think there was a large portion of the public that still didn’t quite have their arms wrapped around it. Two things really made me want to make it. One was I felt it was very important to really distill the core implications of what the story meant and its significance and its direct impact on the average citizen. And then I also thought there was an extraordinary human story at the center of it, which was so many journalists. 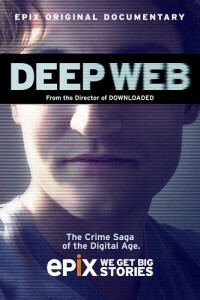 TV GOODNESS: This felt like a thriller, in some ways. A lot of it did put me on the edge of my seat because I couldn’t remember if anything broke before it was supposed to. I was trying to rack my brain and remember how it all happened. It was an effective way to tell the story. Did you purposely do that? Winter: “Yes. I come from narratives: filmmaking and storytelling. I like making docs that don’t feel like they’re informational or just a tribute to something. As a movie, [it] has a compelling emotional journey that it takes you on and really allows you to feel like you’re experiencing something directly. TV GOODNESS: You talk about how income equality is one of the defining issues of our time. When I think about where politics is, especially in the US right now, I’m not sure people fully understand what that means. How did you make sure that that was something you hit on in the film? In the film we really do repeatedly express and clarify why this matters to the average citizen. This is not just wealthy people not paying as much tax as they should, but literally siphoning your money, your resources, your ability to have clean drinking water, your ability to have healthcare, your ability to have a proper education and roads that work. The Panama Papers premieres Monday, November 26th at 6 pm ET on EPIX. Part 2 of my exclusive Q&A will be up after the film premieres.